I began the struggle to grasp for an iota of consciousness during the last part of my years as a student in my high school. I began to be formed by a realization that Class – the compendium of racial, gender, economic, etc. markers – was a decisive element in the social organization of our school, and thus, in the character formation of us students. The more consciousness I struggled to grasp, the more conscience indicated to me that class organization and I – a Latino, immigrant, working-class, young man – just could note not engage favorably. Basically, it seems I just couldn’t make it to the right class¹-room. I was led astray from the classrooms of fertile opportunity for cultivating academic virtues; to instead be dropped, not planted, in rocky-soils of barren classes. As I remember, during my junior-year, for reasons I understood as bureaucratic, confusing, opaque ESL-testing, I was placed in an ESL beginner-level English class where books were seldom –if at all- read and movies became the most humanized and engaging teachers for us, a thought-emaciated ESL group. The day I remember to have been given my first book in English, after being bumped-up right at the beginning of my senior-year into a “regular” English-class (where we’d actually read certain books) I gorged the first book they gave us in one instant-long day. Huxley’s “Brave New World” fed me an answer or two as explications and resonances in the imminent struggle of my educational emaciation. A barely-digested interpretation salted with Huxleian tastes helped me perceive the polarity of my school’s institutional social division: I had been put in an Epsilon (or working-class, or immigrant-class) ESL class, and there was no way I could conventionally reach the Beta² (or quasi-burgoise, or upper-middle/middle-class) AP English class. The precipice dividing the ESL with the AP-class classes seemed insurmountable in the convention of our school’s classist organization. As I devoured Huxley and was satiated only with the sensation of a growing hunger for imaginative companions through literary conversation, I was prevented from making it to AP English during high-school. A New York Times article published last year warns us of the continuing widening of the education gap. The classes of rich and poor, though still also of race, and surely of document statues/classes (undocumented, documented, citizen) are the machineries that today destroy our common ground. In the face of these frightening precipices, it might just be that our student-scholars of the SLI are our society’s most marvelous engineers, bravely building a bridge across this Class-void that disjoints our classrooms and institutions of learning. And that we are the workers at their service, eager to assist in the construction of smart structures that invite educational access and growth. Even as we remember that Rome was not build in one day, let us humbly work with a conviction that is resolved for a more Democratic U.S. Republic; one that stands on a platform of more accessible education. Safe and diligent construction work to Us all! ¹ It might be interesting that this is the term we give to the places we order for dividing the “school-classes” of our children. ² Perhaps naively, I dare assume we don’t yet have Alphas (increasingly known famously as “one percenters” in the social parlance) in our still wonderfully provincial, local town of Harrisonburg. While I understand the author’s view of his high school being a class-based institution where many were held back, I want all readers to understand that the teachers, administrators, and Central Office personnel of Harrisonburg City are dedicated to alleviating these issues. Many of the ESL courses mentioned in the essay have been deleted. 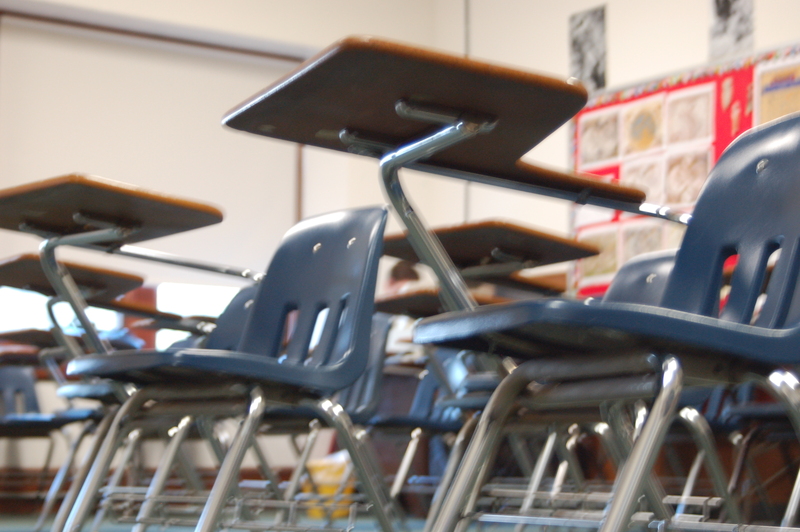 More kids are being placed in challenging classes. The barriers that used to “track” students are being removed. Any student can take Honors and AP courses if they wish. While I won’t argue that the playing field is entirely equal, I would argue that there are many more opportunities for students to engage at high academic levels if they choose to do so. One of the major goals of SLI is to get more Latino students into high-level courses. HHS has implemented other programs (AVID, ECMC) to help students become more prepared for college rigor. My hope is that these programs continue to grow, so students five years from now will not have similar experiences and memories as Mr. Diaz Castro. Thanks for your response Kirk. I am trying to see where you’re coming from and I think I can do it with significance. HHS as an independent institution has not been “at me” -has not approached me personally in any way- since I graduated. I have not been at HHS -have not approached it directly in any way- since I graduated. It is through indirect means that I heard from HHS and its relation to certain Latino students after my graduation: mostly Sandy’s work, and later your work and “the other wonderful lady-friend that works with you in ESL’s work (her character has joyfully impressed me, her name has sadly left me)”as part of the SLI initiative. In fact, it is just until this point -the exchange through the blog and email- that I am more clearly aware of the ESL work you guys do. For surely bad and perhaps good circumstances, I think, I echo what you said, “we don’t know each other”. -Let’s get a beer; have you had a “Bohemia”? Let me buy you one if we find it here in the burg. It’s good beer! I also would be glad to take a tour of what’s going on today in the high school particularly in these ESL concerns. It would feed my soul to reconnect here. the one I personally thoroughly experienced during my season at HHS. Thank you for your comment and your work, Kirk. May the progression of the arc continue its bend towards justice for Us All.